We're getting to the final days before Christmas, when many of us are rushing out to find last minute gifts. Before you do, you may want to know about the most unwanted holiday gifts, that could soon end up in the return line. So many items look like great gifts when you are strolling mall stores and kiosks in December. But a few of weeks later, they end up in the return line, unwanted by the recipient. 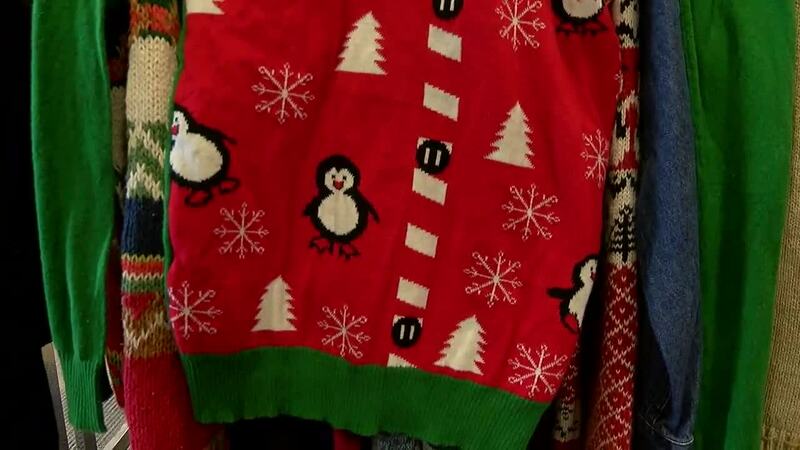 That's not to say your loved one won't appreciate a nice Christmas sweater with Santa on the front. It's just that a lot of people would prefer something else. And from the doesn't that stink file....the ninth unwanted gift, according to one survey. See if you agree. It is liquor, something some people love as a gift, and others hate it. Send it to a teetotaler and you may say "doesn't that stink?" Consumer Reports Magazine says hard liquor is the most unwanted gift. But you might be asking what are they drinking? Many people would love a bottle of vodka, Kentucky bourbon, or scotch on Christmas eve. The stress over finding a gift that will be appreciated is one reason why gift cards are so popular. Just make sure it is to a store they like, and will use, otherwise it will become unwanted gift #10.